That was a good one. I could tell that her parents really have welcomed Jordan into their family. Would love to see them do one with his parents as well. @aviej wrote: Seems like this web series episode slipped through the cracks. I didn't know when they had uploaded this one. I loved this episode but it's a bit short. Both J and J are in LA filming an ad for MVMT watches. There is so much greatness in this episode. Her parents are the best. Jordan's first Saturday night at home since August. Jo's reaction while watching football is hilarious. It looks like these two are vacationing in Costa Rica with her family. Jordan must be thrilled because he missed out on both tropical trips last year due to work if I remember correctly. Glad he can finally get some down time from his hectic work schedule. Glad to see that he finally got his hammock . @lizziem oh dang, thanks for letting us know! @Ash2214 wrote: @lizziem oh dang, thanks for letting us know! And this is why I have a feeling that their wedding will also be something like this. They can have a small, private family wedding somewhere then have a big blowout party for all their friends at a later date. 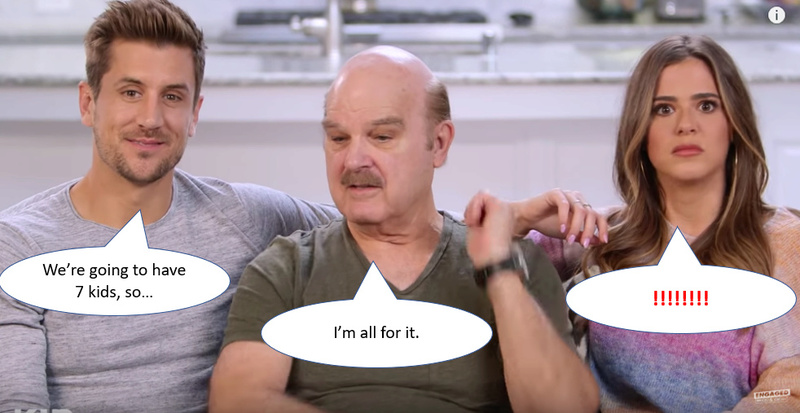 The next episode on the web is I believe Christmas celebration with Jojo and her family.